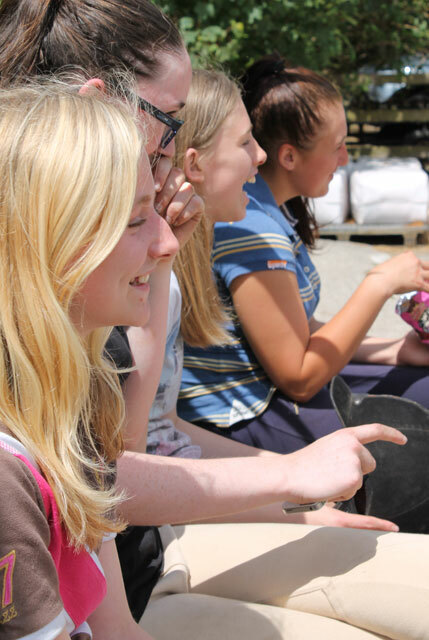 Barguse Young Equestrians is for junior riders aged from 13 to 18 years of age. It was formed as part of the British Equestrian Federations initiative to encourage riders to enjoy both the riding part of our sport and the social aspect. They recognised that for this age group there were very limited opportunities for them to socialise and that they often fell between different categories. Each week we run a 45 minute riding session combined with a 30 minute social meeting where riders can interact with each other and discuss what social activities they would like to take part in outside of the centre. They can work towards the Young Equestrians Leaders award, BHS Stage 1, BHS progressive riding tests, they are actively encouraged to fund raise for local charities and come up with ideas for social events such as BBQ’s, bowling evenings or other events that all members would enjoy. They have their own Facebook page which is closed to members and where they can post what they have been up to and interact outside our normal working hours and long term it is our aim to link up with a local Young Farmers Club as membership grows.